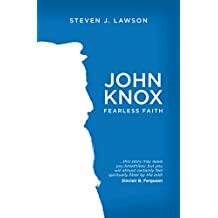 This is an excellent, small, readable book that captures both the major facts and spirit of the great Scottish Reformer, John Knox. His life was driven by a driving faith in a great God, and it inspires that same faith in all of us. Knox’s fearless faithfulness in the face of constant opposition presents all of us with a challenge in the face of so much less to fear.